Greg Kumparak is an editor at TechCrunch. 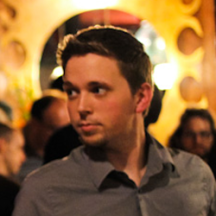 Greg started at TechCrunch in May of 2008. He led TechCrunch’s sister site MobileCrunch as editor until AOL acquired the company in 2010, at which point the editors of TechCrunch’s four main sites (TechCrunch, CrunchGear, MobileCrunch, TechCrunch UK) merged the sites under one domain. Best known for his gadget coverage, Kumparak has broken hundreds of stories within the space — unearthing details on everything from abandoned Samsung smartphone prototypes to new Apple devices. He’s also one of the Internet’s most prolific “live bloggers”, having reported from the scene at dozens of international events for live audiences in the hundreds of thousands. He was one of the earliest writers to highlight and report on a number of companies that have since become “unicorns” (reaching a valuation of $1B or more), including Zenefits and Twilio. Kumparak is a frequent guest on TechCrunch’s Gadget, Apple, and Android podcasts, and often appears on stage as an interviewer or judge at TechCrunch’s meetups and Disrupt conferences. In 2012, Greg was featured on the BBC, Wired, Mashable, Engadget and many other outlets for a side project he called the “tARdis”, or the Augmented Reality TARDIS. By combining augmented reality with a handmade physical model, Greg was able to replicate the otherwise physically impossible “bigger on the inside” visual effect that commonly appears on television’s Doctor Who series.